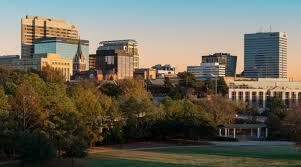 The capital city of Columbia is the largest city in the state of South Carolina and offers a ton of fun things to do. If you have not experienced the city, or are just looking for something fun to do this week, take a look at some of the great adventures that await you in Columbia. Columbia is brimming with breweries. There’s River Rat Brewery, which got its name from the three rivers that run through our city, and boasts a “perfectly balanced, refreshingly bold, and deliciously drinkable” beer. Twisted Spur Brewing offers weekly specials and is not just for beer drinkers. In addition to ½ off beers on Wednesday, they have martini, wine, bourbon and tequila night specials as well. Then there’s Swamp Cabbage Brewing offering tours, tastings, pints, and growlers in a newly renovated taproom or outdoor patio. For more on the top breweries in Columbia, visit Yelp’s Best 10 Breweries in Columbia, SC. Take in a Fireflies Game. Baseball has been around Columbia since the late 1800s and 2016 marked the return of a professional baseball franchise with the Fireflies. When Spring arrives, you know it’s baseball season and time to take in a game. Visit FirefliesTickets.com or call 803-726-4487 to get your tickets for the upcoming season. If you are looking for something fun, new, and delicious in Columbia, try Columbia’s Food Tours where they “invite you to Experience Columbia, One Bite at a Time!” They offer Main Street food tours, a Nibbles & Narrative Tour, and a new Lexington food tour. There’s also the Walking and Tasting Food Tour and Pub Crawl from Two Gals and a Fork Food Tours where you can not only taste great food but learn about the history and culture of the area. Spend the Day at Riverbanks Zoo. 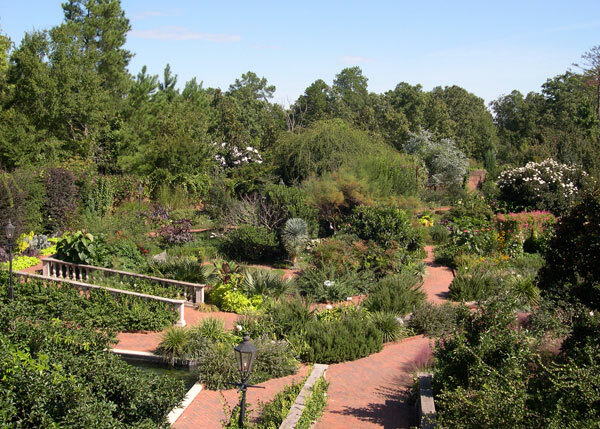 Riverbanks Zoo is home to more than 2000 animals and home to one of the nation’s most beautiful botanical gardens. In addition to animal habitats and demonstrations, the zoo also features a zipline, waterfall junction, sky-high safari, and the Spots & Stripes Railroad. There’s so much to do at Riverbanks Zoo, you may need more than one day to take it all in! Visit the SC State House. Take a guided tour of the South Carolina State House and learn about the history of South Carolina and see the government in action. With more than 20 miles of riverwalk and trails, enjoy this escape to nature within an urban environment, just 5 minutes from the SC State House. 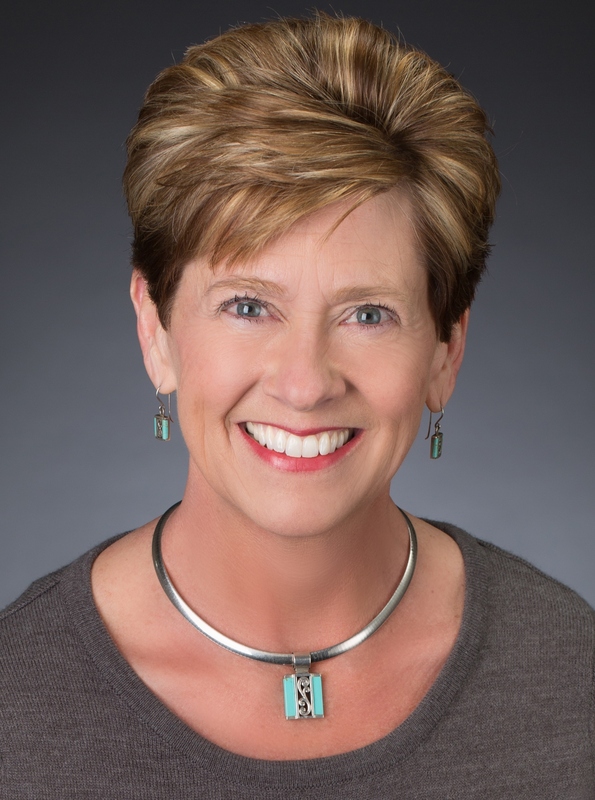 The riverwalk and trails encompass the Cayce Riverwalk, Timmerman Trail, 12,000 Year History Park, Congaree Creek Heritage Preserve, Thomas A. Newman Boat Landing and more. 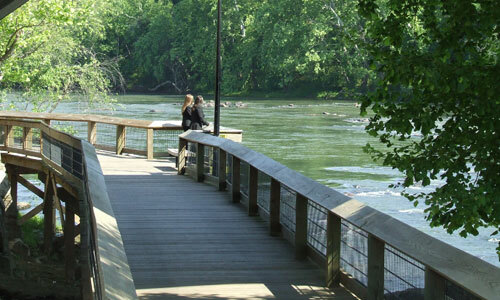 The riverwalk overlooks the Congaree River and is popular for walking, jogging, bicycling, bird-watching, and picnicking. For more information, visit their website. There is so much to do in the city. Whether you want to explore restaurants and shops, take in the river scenery, or visit one of the numerous museums, like Edventure’s Children Museum or The Columbia Museum of Art, or take in a show at the Koger Center for the Arts, there is something for everyone to do and enjoy in the great capital city of Columbia.